Download a Culverhouse Points-of-Pride guide for 2018-2019. Students from 48 states are enrolled at the Culverhouse College of Business, with the greatest numbers coming from Georgia, Florida and Texas. Approximately one-fourth of the total number of bachelor’s degrees awarded by The University of Alabama is to Culverhouse students. The Culverhouse College of Business is accredited by the Association to Advance Collegiate Schools of Business. AACSB ensures the highest quality standard in business education. 1919 — Undergraduate program launches. Lee Bidgood is the first dean of the College. Dr. Kay M. Palan, the current dean, is the ninth dean of the College. 1944 —The first MBA degrees are awarded by The University of Alabama. 1985 — The Executive MBA is offered to meet the needs of busy business professionals. The Innovative STEM Path to The MBA program launched in 2011 and the CREATE Path to the MBA launched in 2016. They are the only programs of their kind in the nation. Students in STEM or Creative fields of study can earn an MBA with just one additional year of study all the while taking business honors courses starting their freshman year. 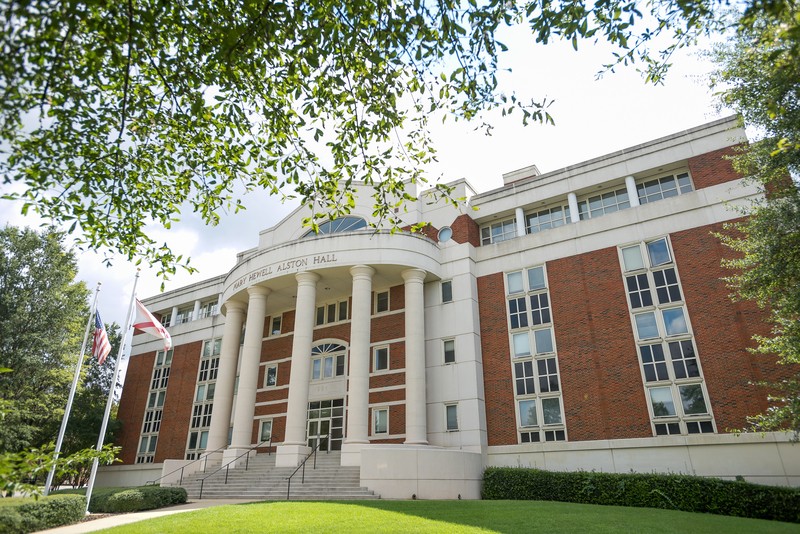 The Culverhouse College of Business offers graduate-level specialization in Business Analytics since 2002. One of the first business schools in the nation to offer such a program. The Marillyn A. Hewson Data Analytics Lab opened in 2015 with Lockheed Martin, Healthcare Business Solutions and SAS as partners. The Lab provides collaboration among students, faculty and corporate partners to issues facing businesses globally. Vulcan Value Partners Research Library and Trading Room is where students conduct live trades as part of our Value Investing degree specialization. 9 Centers offering research, opportunities, and professional assistance.